You hit the button that you think changes currency but is actually the Buy Now button. And thats just exactly what sort of happened to me;) Well kinda. A fantastic deal at that price. It’s small and light but pretty roomy inside and very well constructed. The material it’s made from is durable ripstop nylon. 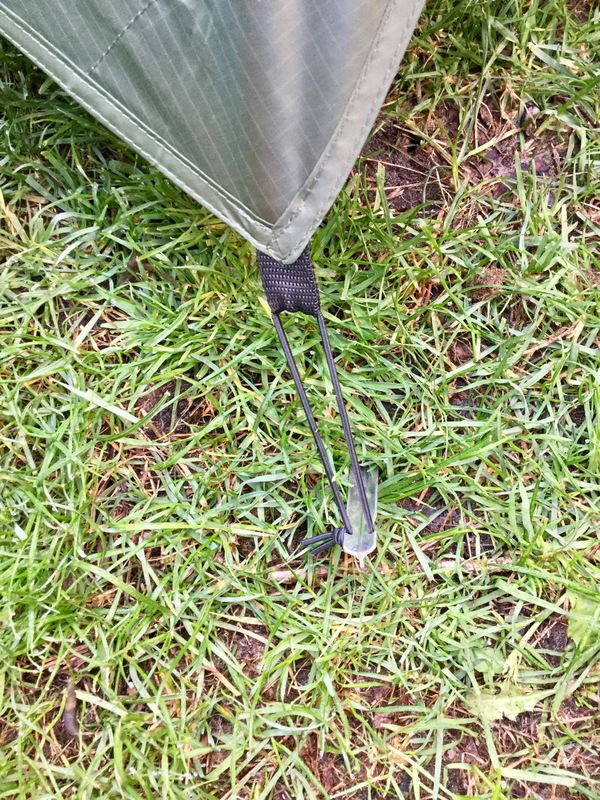 The poles are well formed strong aluminum and it even comes with it’s own repair kit! Simple and quick to put up. What’s not to like? Not a lot really. Maybe that it pitches inner first (not always an advantage in Northern Europe) or the pegs (which are a little bit hazardous with sharp bits). 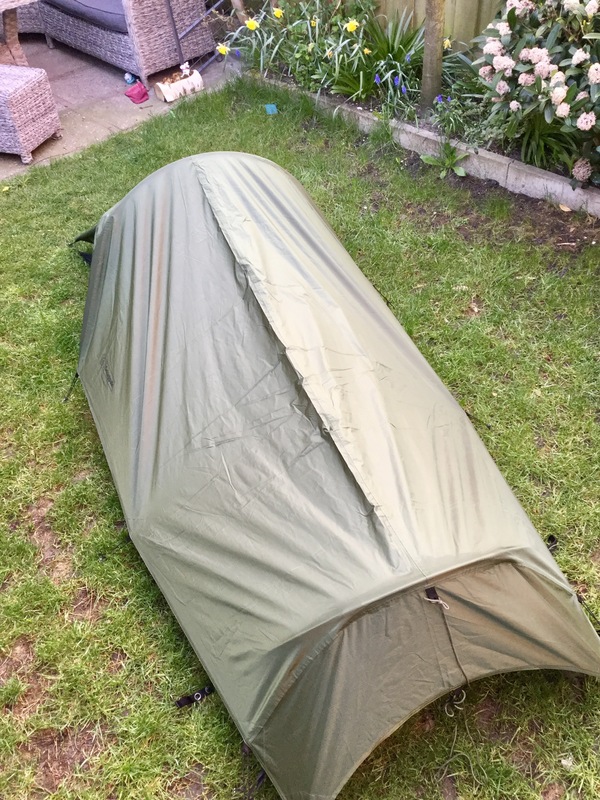 I’ve spent two nights in it so far, two very comfortable nights. The temperature was around 2 degrees above freezing and damp. First night was just the tent and a inflatable thermarest sleeping pad with a sleeping bag rated for -10 (apparently). It got a little chilly but not insufferable. Second night I used a good space/survival blanket and that made a big difference. It’s fun to get in and out of. But once you get used to it, it’s not too bad. 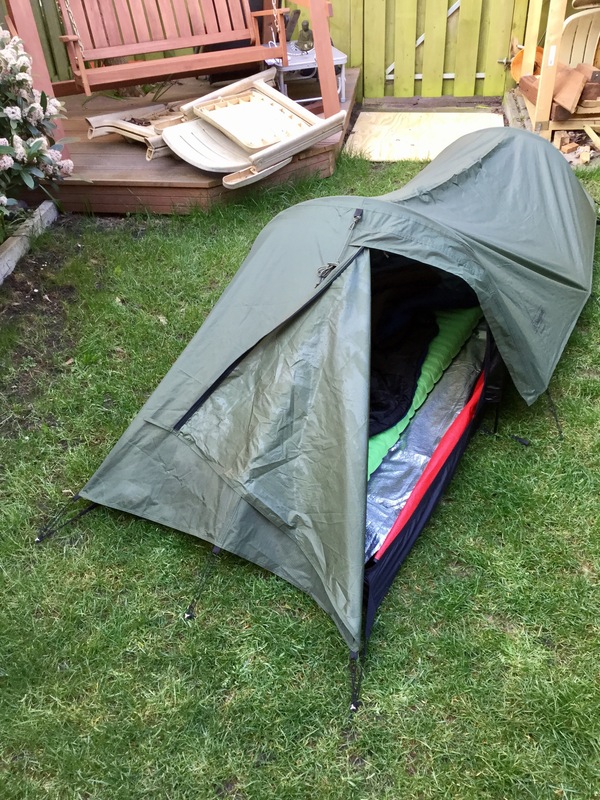 What I would be tempted to do if using for extended trips is to take a small tarp and use that as well. Absolutely. It’s light, packs to more or less nothing and is very comfortable. Longer term? Well – time will tell. My feeling is that my oopsy purchase will be a bit of a winner. Google Plus, do no evil? I like Google Plus, much more than Facebook. It’s more secure and is security model is more useful. Additionally it sort of integrates with the other Google apps. This on the face of it is a good thing. I took some pictures on my phone, these are set to sync to my Google Drive for backup and reuse. Now, I may publish these from G+ or I may want to do whatever with them. This you would think it’s a fair thing to do. I also prefer to use a tablet or phone at home rather than laptop, even for map and such, including WordPress. This morning I go to write something based op one of the pictures I took and stored on G+. Could I find a way to download on the tablet from G+? Could I not! It just doesn’t seem possible. Maybe I need to look more info this but seeing as this stuff is supposed to be about creating content and making it easy to do so, it all seems rather strange. Of course, if it’s simplicity itself to publish within the Google ecosystem but to get things outside? I could, I guess, link into the picture on G+ from here but that would be advertising for Google and also maybe I don’t want to do that? Maybe I don’t want to let folks know what my G+ account is? Privacy and all that. Google benefit from this behaviour, it helps people stay locked into their stuff. Trying to move from a ring fenced environment outside has been made deliberately difficult to serve the advertising and data mining frenzy that is Google. Stop using Google? It may be the only way but I don’t think effective. Probably best to do what everyone else will do and sync upto Dropbox instead and forget about flexible content delivery and management systems. Do no evil ? Maybe not but low grade annoyance seems okay. 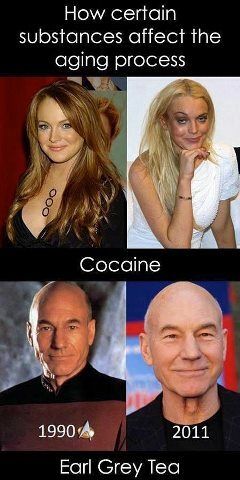 If anything, Earl Grey would appear to make you younger. The Death start, and official US Government statement. The reasons given make sense but I just don’t know. Maybe this is a bit of an oversight on the behalf of the human race. Currently we have only limited ability to blow up planets, nuclear bombs only scratch the surface and the hings coming out of CERN, well they might destroy us but not in that spectacular fashion we are really wanting. I mean, just disappearing into another dimension or collapsing in on ourselves, it’s a bit wimpy to be honest. And now, sadly, the government penny pinchers and so called scientists just fail to deliver.